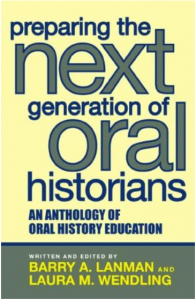 Preparing the Next Generation of Oral Historians is an invaluable resource to educators seeking to bring history alive for students at all levels. 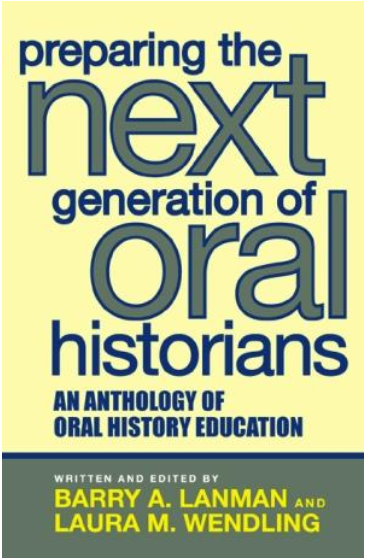 The anthology opens with chapters on the fundamentals of oral history and its place in the classroom, but its heart lies in nearly two-dozen insightful personal essays by educators who have successfully incorporated oral history into their own teaching. Filled with step-by-step descriptions and positive student feedback, these chapters offer practical suggestions on creating curricula, engaging students, gathering community support, and meeting educational standards. Lanman and Wendling open each chapter with thoughtful questions that guide readers, whether unfamiliar with oral history or seeking to refine their approach, in applying the examples to their own classrooms. The bibliography of further resources at the anthology’s close provides interested educators with all the information necessary to transform their lessons and show their students history’s power as a living force within their own lives and communities. Barry A. Lanman is the Director of the Martha Ross Center for Oral History and a professor at the University of Maryland Baltimore County. Laura M. Wendling is a Professor in the College of Education at California State University San Marcos and is the Director of the Consortium of Oral History Educators. To order, call 800.462.6420 or order online at Altamira Press for a 15% discount! Copyright © 2007 Martha Ross Center for Oral History.